Our new space in the Nations has multiple venues for creating memories, eating good food and drinking great beer. 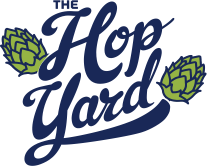 The HopYard, our Restaurant and Bier Garden, is the only place to find the latest releases, try food pairings chosen by our chef and stock up on Fat Bottom branded merchandise. Nestled in the West Nashville neighborhood of the Nations, seating is offered in the outdoor bier garden, in the bar area and overlooking the brewery itself. When it comes to our brewing operation, there is no room to be complacent. We hit the ground running in 2012, and our focus has always been improving the quality of our beer. From selecting ingredients all the way to packaging, we are committed to making a product with integrity. Clean. Adaptive. Full of Character. Our 3,000 square foot, private event space is perfect for any occasion. Let us bring your vision to life with a custom catering menu, access to full bar and of course, delicious Fat Bottom Brews, all tailored to your specifications. 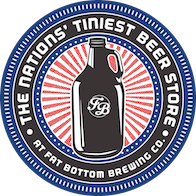 This on-site bottle shop is the best way to explore our beer-to-go options, as well as a curated selection of other craft brews from across the great state of Tennessee. The shop also features a state of the art, counter pressure growler filling station to ensure you’re leaving our brewery with the highest quality liquid.